Syrian opposition groups alleged that the Syrian government committed a massacre in Idlib on Wednesday, leaving over 100 dead, most of them said to be civilians. The escalation of regime violence came just before a monitoring team from the Arab League was set to arrive in the country. 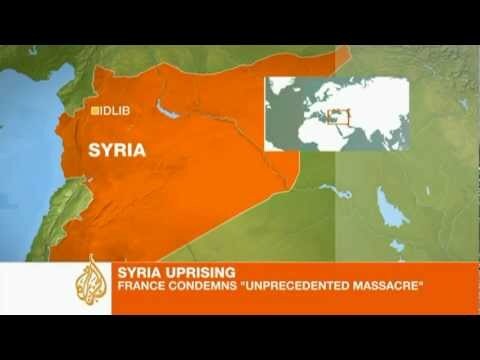 Aljazeera English has a video report.